The wait is over! Memorial Day weekend kicks off pool party season and we have everything you need to look absolutely gorgeous. From makeup looks for those hot days (and nights) to summer styles that will guarantee that the belle of the bbq is you. Take the bite out of summer with your #1 deet-free summer essential. Our full line of Bug Guard products offers safe protection from insects for the whole family for a variety of situations. Dad Rules - Don't forget your number one guy! From sophisticated scents to gotta-have gadgets, our special Father's Day section is chock-full of gifts Dad is sure to love. Save Big! the flip-flops you need, the perfect cheek tint you crave, the summer fragrance you dream about...they're all on sale in our 26-page clearance section. Shades of Summer - Get the look of the moment with makeup, accessories and jewelry in the season's hottest color combos. The Ruched Crochet Dress is my new favorite dress! 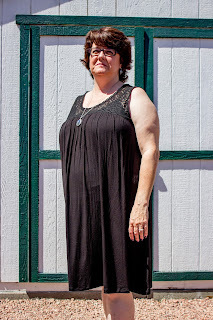 The simple sleeveless dress with flattering ruching along the the bottom of the crochet lace at the neckline is the little black (or green) dress made summer ready. The lightweight knit fabric flows beautifully and the waist tie can be placed at your slimmest point to create an hourglass figure, or left off completely for an a-line baby doll style. I did find the arm holes to be a little low on the sides so I do wear a cami or tank underneath and of course your bra straps will show under the crochet lace so you'll want to choose a flesh tone or matching color undergarment. Supplies are limited so I suggest getting your order in for this summer staple right away so you don't miss out. 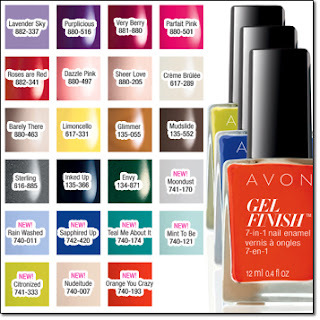 Our Gel-Finish 7-in-1 Nail Enamel is the easy alternative to a salon gel manicure. It has a smooth glassy finish that I find it wears about 1.5-2 times as long as other nail colors without the UV or LED light or multi-step process. Removal is easy with your regular nail enamel remover. Now we can even get that great finish and longer wear with the new Gel Finish Top Coat. It glides over any nail color to boost shine and gloss, and helps reduce chippng and cracking to keep my manicure looking great longer. 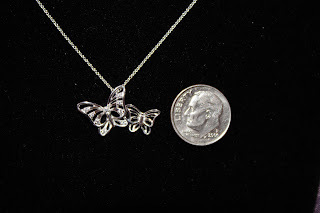 Add a delicate touch to any summer wardrobe with the Sterling Silver CZ Butterfly Necklace. 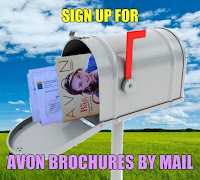 Check out the Great Savings and Star-spangled savings flyers for even more special deals on makeup, fragrance, jewelry, and personal care.